The snacks both you and your dorm room need. Snack attacks: they can creep up sneakily or hit you hard, but regardless of when they strike, you want to be prepared. While it’s pretty much impossible to go wrong with any product that jumps out at you on the Trader Joe’s shelves, here’s a list of the items I count on so I’m always ready. These banana slices bring all the health and fuel of the large fruit into small bites. They’re perfect for a little sweet craving hits, but beware —you’ll probably finish off the whole bag in between classes. There is something surprisingly special about TJ’s take on the classic cookies and cream flavor. 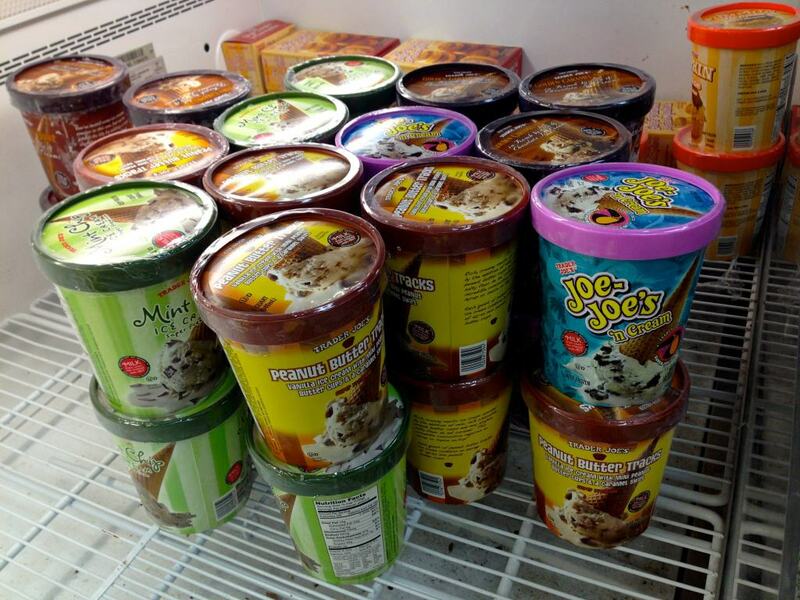 The vanilla ice cream is so rich and the high volume of Joe-Joes (their version of Oreos) make every spoonful exciting. While it might not sound like a delicious item, this maple-coated seafood is a truly unique snack. Your roommate might judge you when you first take it out, but give them a bite and they’ll be just as hooked. Caffeine coated in a strong dark chocolate. Enough said. This bright pink yogurt might as well come out of a froyo machine. With few calories and a ton of protein, it doesn’t seem fair that it tastes so good. At only $1 per container, it’s ridiculously easy to justify filling your fridge with these. 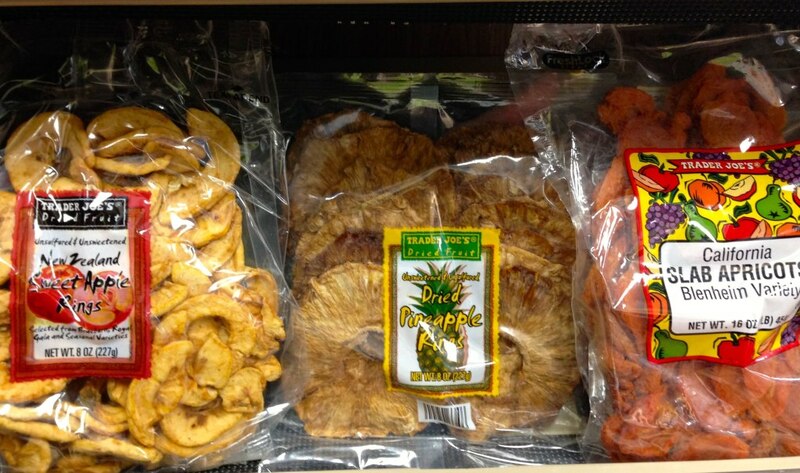 This is great to have in your room whenever your tastebuds feel like they’ve been lacking some serious flavor. 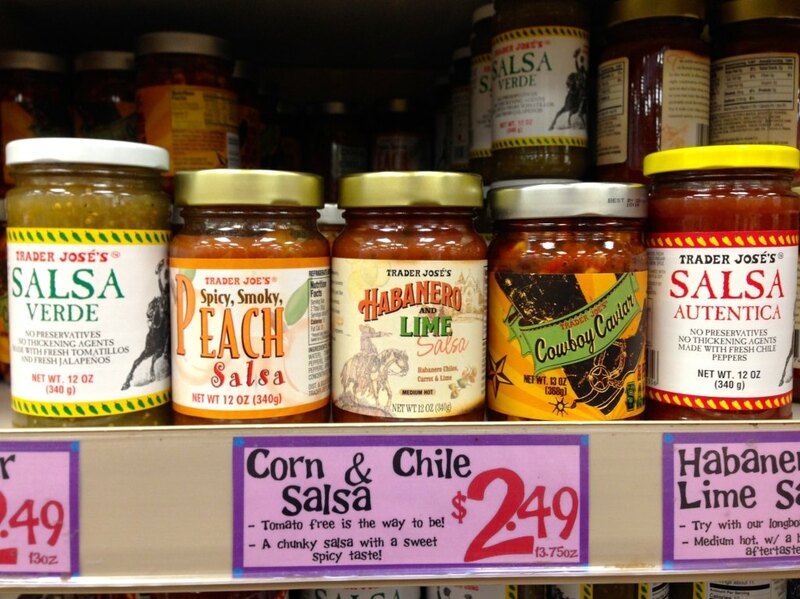 When spicy food is hard to come by in dining halls and nearby grocery stores, rely on this salsa to keep things interesting. 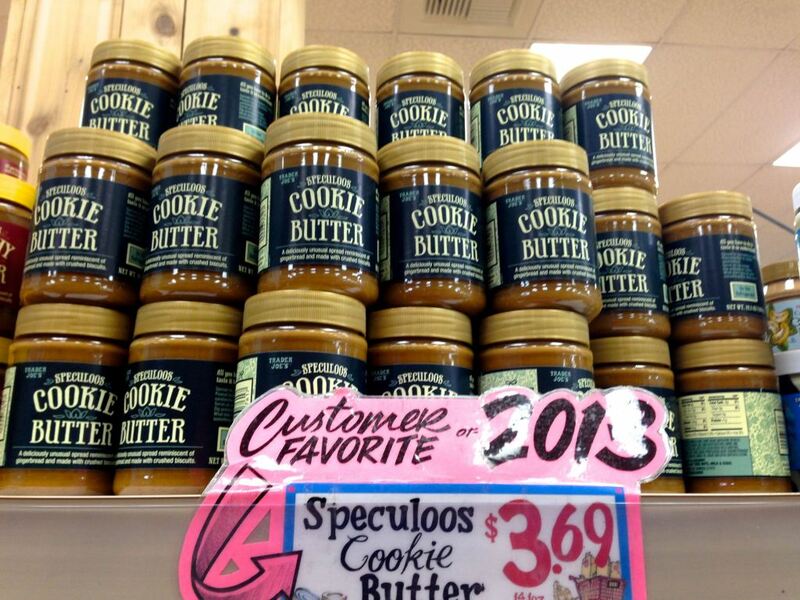 No discussion of Trader Joe’s snacks is complete without cookie butter. Avoid looking at the nutrition facts and be wise with your choice of vehicle; anything from pretzels to a spoon will suffice. Here are 12 other genius ways to use cookie butter. 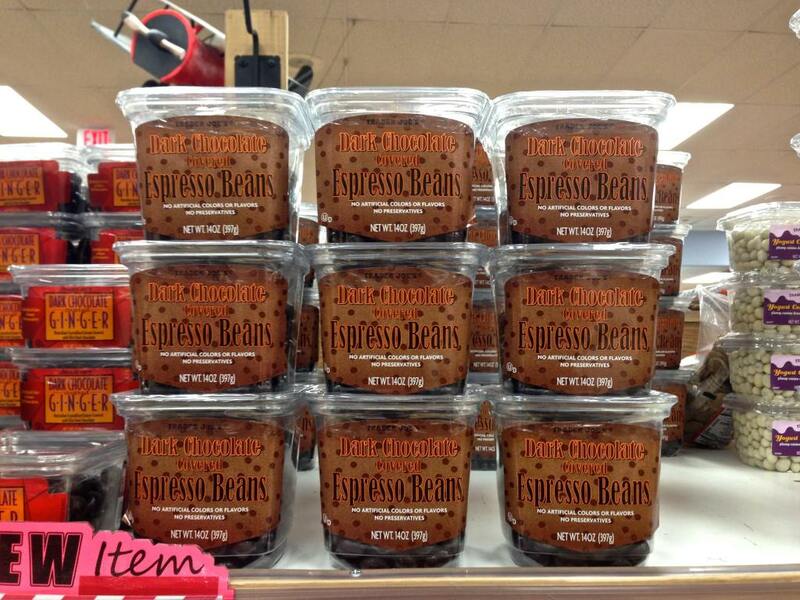 BIG NEWS: TJ’s just added a new cookie butter flavor that you should add to your list as well.